Dont't take chances with needle stick injuries to your family, friends, employees or yourself. Call us for a free local quote and let our ITI and IICRC Trained and Certified technicians remove the bio hazardous danger for you. 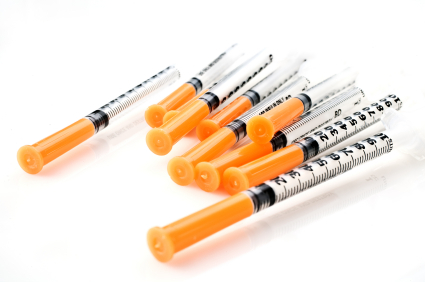 Used syringes have been found discarded in all sorts of places, included at houses and apartment complexes, parks, even school play grounds. Sometimes the needles are obvious, dropped in doorways and passages. Sometimes the sharps are hidden or dropped in garbage, in toliets and behind or even inside furniture. Many landlords find out only after an eviction or move out, that the unit requires cleaning and contains discarded syringes, drug paraphernalia, condoms, and various other Bio Hazardous materials. All of this material left behind poses a serious danger to one's health, as well as others. Contractors and employees cannot work in these dangerous environments safely and the premises must be decontaminated properly and professionally. Element Restorations is based in Brisbane, however our Service Area includes all of South East Queensland (SEQ) which is made up of Greater Brisbane, Gold Coast, Sunshine Coast, Ipswich and Toowoomba. If you would like us to respond to a location outside of our usual Service Area please Contact us with any questions you have.